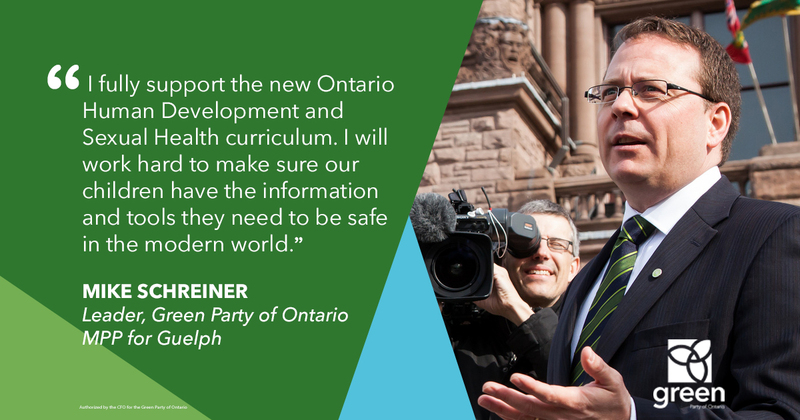 The Agenda welcomes Ontario Green Party leader Mike Schreiner to talk about his party's platform, and what an Ontario Green Party government would look like. Last night, Mike Schreiner appeared on The Agenda with Steve Paikin to talk about what this election means to him, why it’s so significant to have a Green voice at Queen’s Park, and the Green Party’s platform for the upcoming election. I know you are fighting for a seat in Guelph. Given the low expectations for the Party, why do it at all? I got into politics because I thought the three establishment parties were failing us on three major issues. One is the climate crisis. Two is rising levels of inequality Three is just the toxic way in which politics is done in Ontario. I want to change all three. 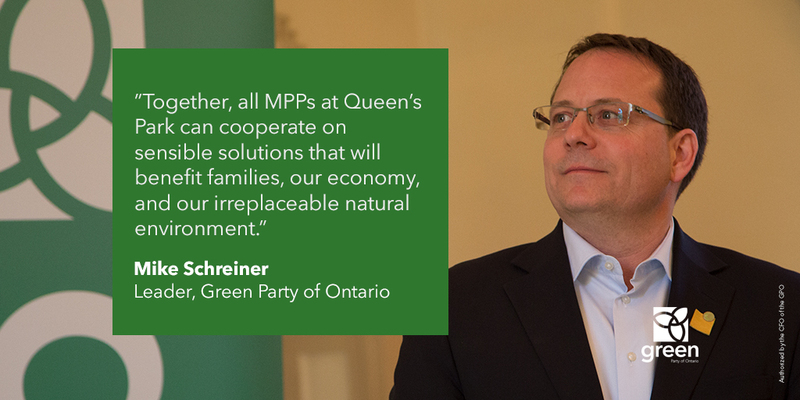 Elected Greens across Canada are doing that, and that’s the people powered change that I want to bring to Queen’s Park. Make the case for why, in a Parliament with 124 members, why would one Green make a difference? I’ve already made a difference. I led the charge to get big money out of politics in 2016. I worked with the Premier in helping write the Legislation to ban corporate and union donations to political parties, lower donation limits, and then worked with the two opposition leaders to get that done. That’s what doing politics differently is about. When people see elected Greens in action, they then vote for more Greens because they like what they are seeing. That’s why PEI has doubled their caucus, that’s why BC has tripled their caucus, and now Andrew Weaver is showing that you can hold what he calls the “balance of responsibility” in a minority government. In this case, the BC Greens hold them to their principles. That’s the role I can play in a minority government in Ontario as well. #mikeschreiner “it only takes 1”, #Leadership is about making things happen @TheAgenda did a great service by offering airtime, showing #leadership in the media as always @spaikin fair questions – well done! Thank you TVO, TheAgenda and @spaikin for the coverage this election. 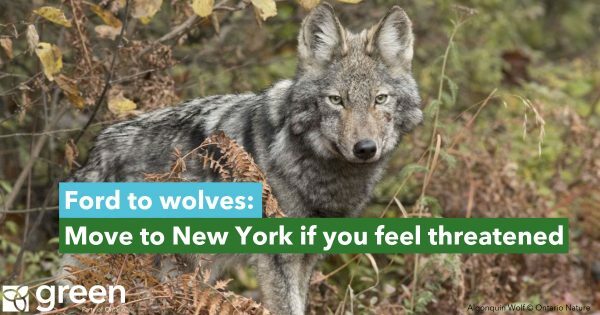 Your acceptance of the Green Party as an official voice on these important issues have been tremendously valuable. TheAgenda serves as such an important and balanced outlet for conversation. What a fantastic episode. My vote is already decided, but I really hope the Green Party wins some seats in the election; I am very impressed by Mr. @MikeSchreiner and his ideas. Also, what a great panel! As always The Agenda was excellent. 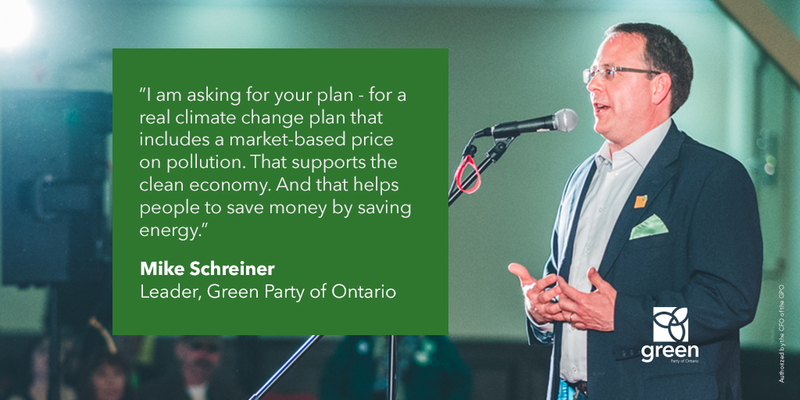 Following Mike Schreiner’s interview with Steve Paikin, a panel of energy and economics experts analyzed the Green Party of Ontario’s platform. Here are some excerpts from their discussion. “The Greens are the only party to put forward their ideas with full costing of how they’re going to pay for them. If you’re fiscally responsible, there’s only one choice this election,” Toby A.A. Heaps, Corporate Knights Magazine.